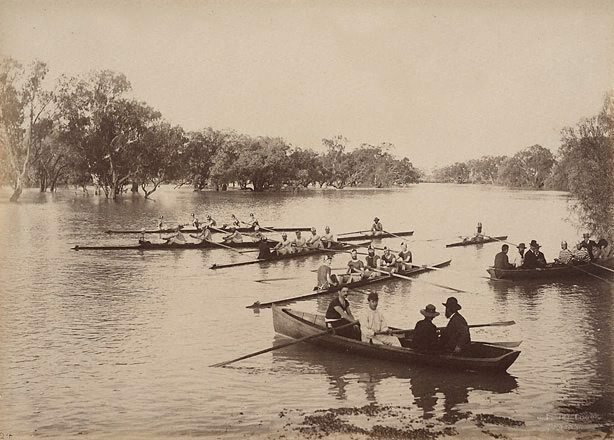 Rowing Club, Wilcannia (first view), from the album New South Wales Royal Commission: Conservation of water. Views of scenery on the Darling and Lower Murray during the flood of 1886. Down the Darling - The Charles Bayliss Photographs , Sydney, 1991, 36, 37 (illus. ).